If you thought the normal My Beauty Diary masks had pretty packaging, the premium ones look even better! This is the Camellia mask (upgraded sheet as well). 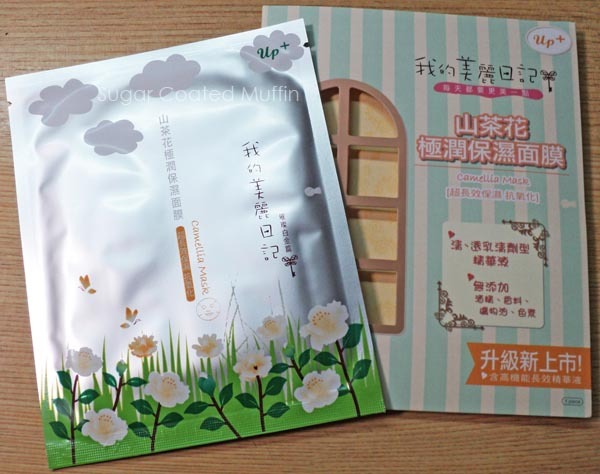 When I tore open the plastic, I caught a floral smell but the actual mask smells of yeast.. Not a pleasant smell.. Bleh... Wonder if the new ones smell like that too? The sheet is pretty much the same but I still feel the normal range ones I bought were better (maybe it's because these are older stock). 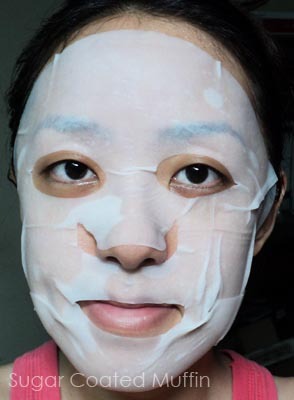 The mask is hydrating, leaving my skin so plump and brightened. It also smoothed my fine lines a little (not 100% sure it's caused by the mask). IMO, the difference between premium masks and the normal masks is that the effects of the premium masks last longer. You rub it all over your skin.. 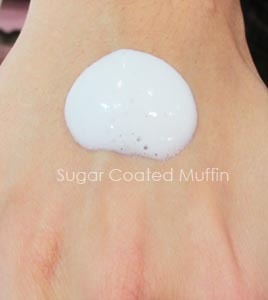 I have not tried this on my face but I think it looks pretty gentle.. I'm sorry the smell was so bad D: I haven't ever had a truly foul smelling mask so it's good to know they exist.